I'd love to feature your pictures, gardening tips, and stories so that we can build this site into a great resource for flower and butterfly info and a place to spread inspiration to aspiring gardeners and photographers. Each photo taken must be a photo you have taken and/or own the rights to. I am not seeking perfection, but rather your best effort and an interesting story that will help or entertain other site visitors. very important and should contain at least 250 words. 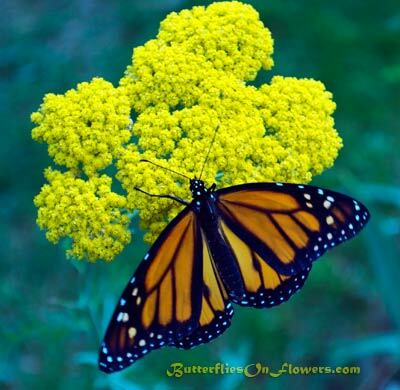 resizing images: your butterfly/flower photo will be resized automatically once you upload it. However, it is best to resize your photo to 400 pixels width so nothing accidentally gets cut out. When resizing the width make sure to keep the "aspect ratio" of the heighth so that the image isn't distorted. Cropping your images: To crop your image so that the butterfly/flower is large and center stage, you can use your own photo editor ,like Photoshop, or this easy-to-use free online photo editor . As you can see below, cropping is definitely worth the small effort! 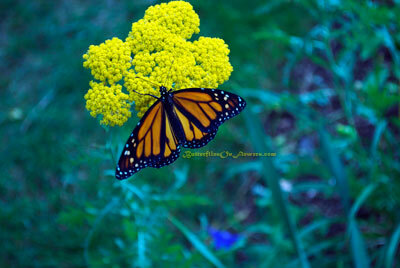 sending multiple photos: The submission form allows you to upload one butterfly/flower picture. Please send us what you feel is your best pic. If your efforts from a particular photo shoot deserve more than one photo please send me any additional photos to picsatbutterfliesonflowers.com Remember to include your name and any other important info that will allow to quickly access your submission. If you have multiple shots that are from multiple photo shoots, feel free to fill out one form for each photo shoot. The other site visitors and I would much appreciate it! Alright, now that you've got the submission basics down, it's time to send in your photo and story...you're about to get published!